My name is Oyin, a graduate of Estate Management and Valuation from Yaba College of Technology and a Digital Marketing Practitioner. As you would notice, I am a product of the polytechnic and despite graduating with very good grades (I was the best graduating student in my set), the fear was there. I thought that I had limited access to opportunities and almost resigned to fate. I graduated April, 2015 and tried my hands on so many things while awaiting service. In the course of waiting, I was sent a link by my cousin to register for the LEAP Africa School2work Programme. I was given a pass to join what turned out to be a large gathering of top minds and I loved every minute of it. I learnt a lot, that I could be all I wanted to be and my confidence was boosted by sessions led by different wonderful people. I must also mention that the food was good. After the 2-weeks programme, I went on Linkedin, connected with CEOs and requested for internship opportunities, yeah, I had that much confidence. I was also empowered to make a lasting statement everywhere I find myself; this has helped me everywhere I found myself after. I led people way older than me to plan and execute brilliant projects during NYSC and even after. As a digital marketer, I have been able to create a niche for myself with the values gotten from the LEAP Africa programme, I have been trusted to mentor people in the field and there have been success stories. Every day, I look for ways to make my community better by giving all I can to make it so. In the course of the program, I came to the realization that I am an asset and that has been my tagline since then. Thanks to LEAP Africa, I can be all I set out to be. I have no limits. My name is Oyindamola Fashogbon, I work as a Marketing/ Branding Consultant (Strategy and Content) for a couple of brands. I am an executive member of DigiClan Africa, a network of digital marketing professionals and enthusiasts where we teach and empower people for the profession. #LEAPISPARTOFMYSTORY: Have you attended our programmes? Do you have an inspiring story to share? Send an email to info@leapafrica.org. We’ll love to hear from you. 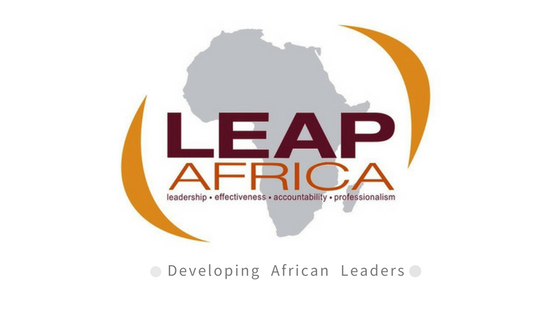 How do I become part of LEAP Africa? you can participate in our programme. However, no programme is open at this but please stay in touch with us or leverage the other channels listed above.